Vegetarian Dishes – Get Cooking! One of my three beautiful daughters is a vegetarian, so I’m more than a little familiar with protein patties and “fake” hamburgers. In fact, I used to love them almost as much as she does! However, when I had to give up gluten/wheat, it meant giving these up as well. Thankfully there are some outstanding gluten-free breadcrumbs on the market, so I can make my own black bean burgers anytime I feel the urge… which is often because I am addicted to them. 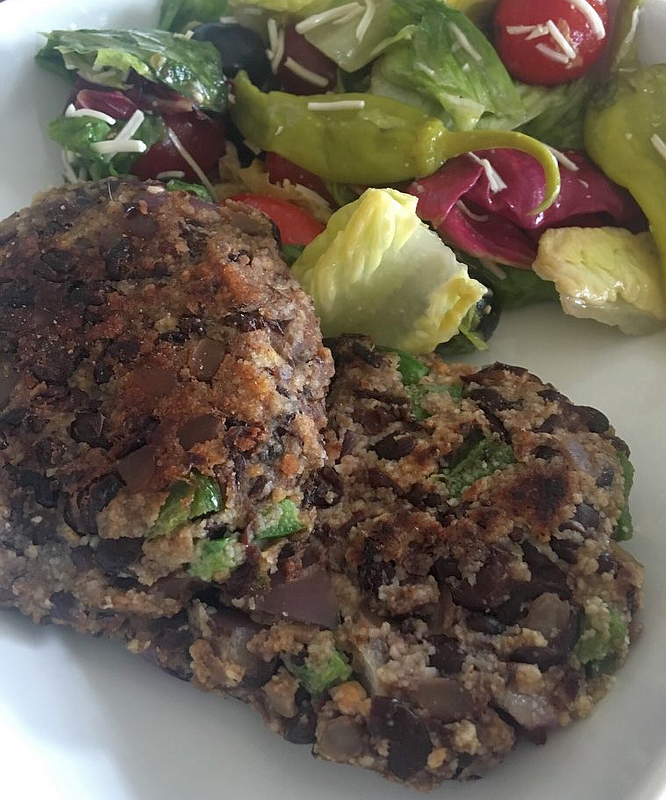 I make black bean burgers differently almost each time I make them, but the recipe below (the way I made them this afternoon) is my favorite. It has the most flavor and I love the combination of bell pepper and red onion. The Worcestershire sauce (use Lea & Perrins if you have to eat gluten-free) also adds a little extra something something. Drain the can of black beans and rinse. 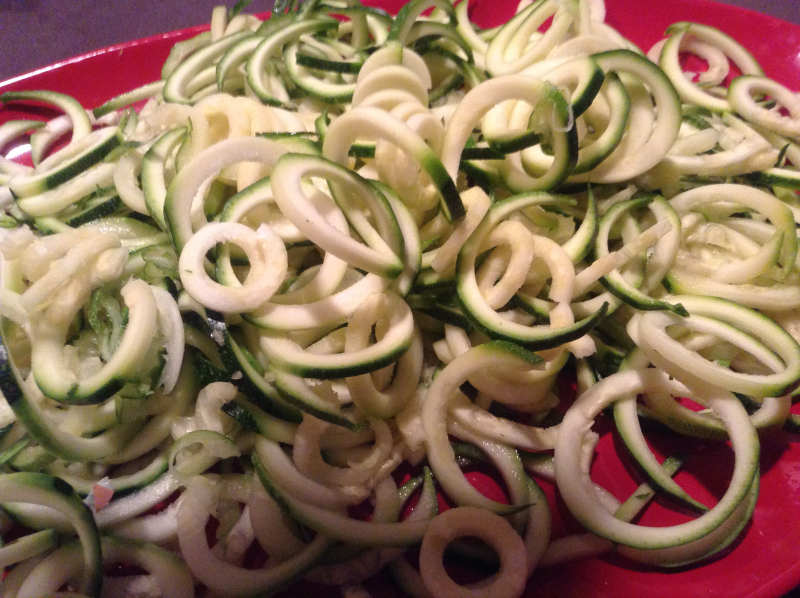 Let them sit in the colander over the sink while you gather the rest of the ingredients. 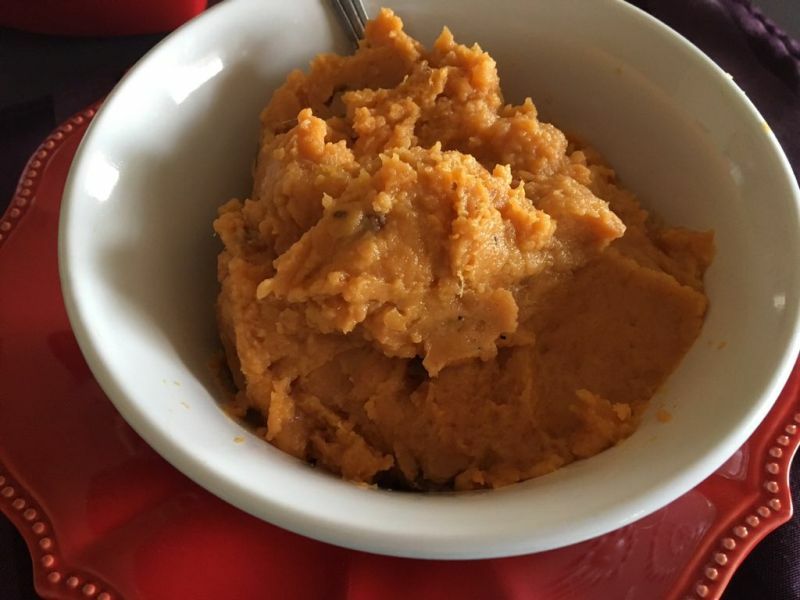 Mash the beans, coarsely - I actually like to keep some whole. I've used various "mashers" and techniques over the years, but my favorite is the good old reliable pastry cutter. Add the eggs, seasonings, breadcrumbs, Worcestershire sauce, hot sauce, garlic, onion, and bell pepper. 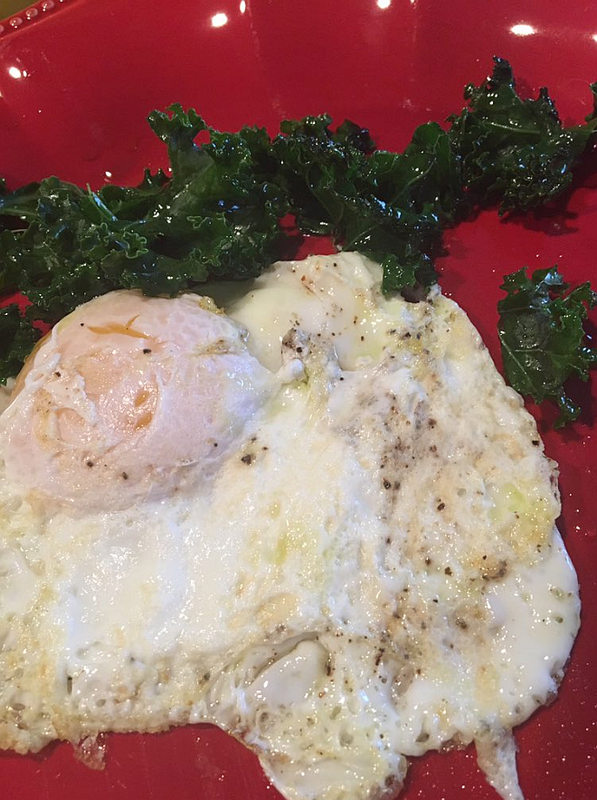 Meanwhile, heat a little olive oil in your skillet - over medium high heat. Form the mixture into patties - whatever size you prefer. Some people like them hamburger-size, some prefer them smaller (for wraps or even salads). Fry the black bean patties until browned on each side. Serve on buns, bread, in wraps, or (my favorite) alongside a great salad. While most people prefer black bean burgers on buns, toasted bread, or in wraps, I prefer mine alongside soup or a salad. 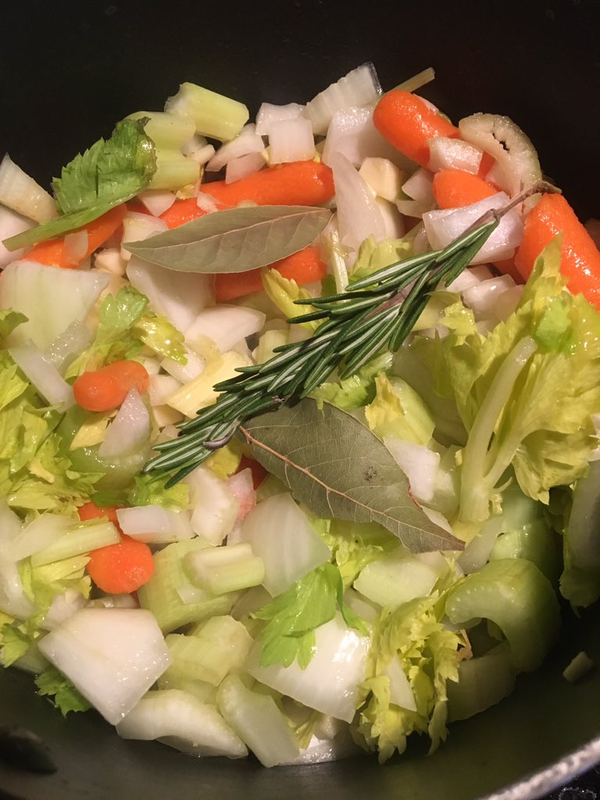 For whatever reasons, I’m just not a big sandwich person – but soup or salad? ALL DAY! For my black bean burgers (and meatballs and salmon patties, too, for that matter), I always use Kroger’s Gluten-Free Breadcrumbs (the original version for black bean burgers and salmon patties, the Italian Seasoning for meatballs.). If you don’t have a Kroger near you, there are other gluten-free breadcrumbs on the market. If all else fails, make your own! When I make black bean burgers, I never saute the vegetables beforehand, simply because I like the crunch and texture. If you had rather your vegetables be softer, saute them first. Your burgers, your call, by gosh. Speaking of which, feel free add or subtract the vegetables and even seasonings I’ve used. This combination, in my opinion, makes the most flavorful black bean burgers – and, trust me, you don’t get heat from the hot sauce… just flavor. One final thought about black bean burgers – they’re an EXCELLENT go-to burger if you’re trying to completely give up meat or simply trying to eat less meat. When you add the toppings you normally would to a burger, black bean burgers almost always satisfy the “meat cravings” people normally experience. I’ve written a Tandoor Chef frozen meals review on the food blog in the past. They are intensely flavorful and completely unforgettable… in a good way. 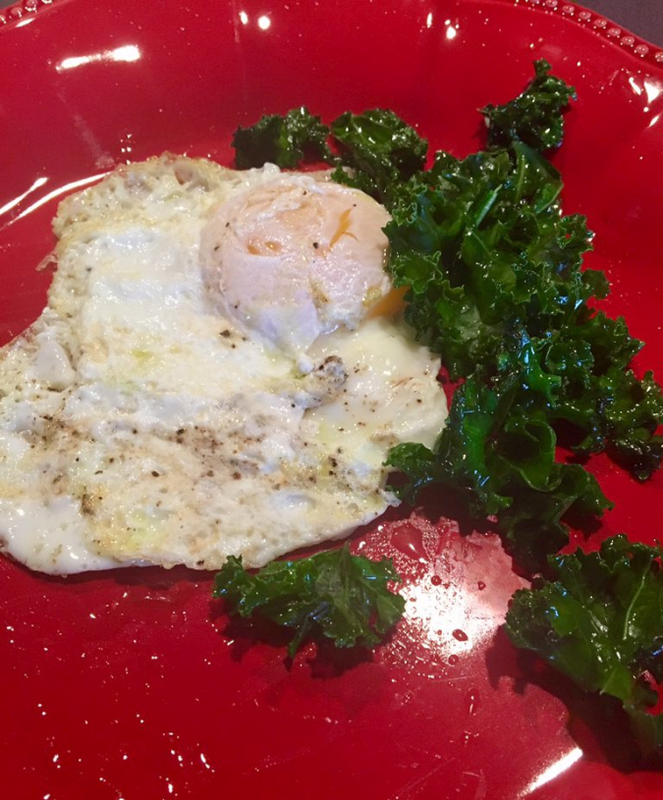 While I love to cook, when it comes to lunches, I like them fast and easy. As someone who works from home, I only have a certain number of productive “desk hours” each day, so I prefer a quick lunch that only spends a few of these precious minutes. If I’m the only one having lunch, in fact, I usually bring it to my desk with me and keep on keeping on. Needless to say, I always have my favorite frozen meals on hand. Along with a small salad (you know how obsessed I am with salads), they make a quick, easy, and downright delicious lunch. 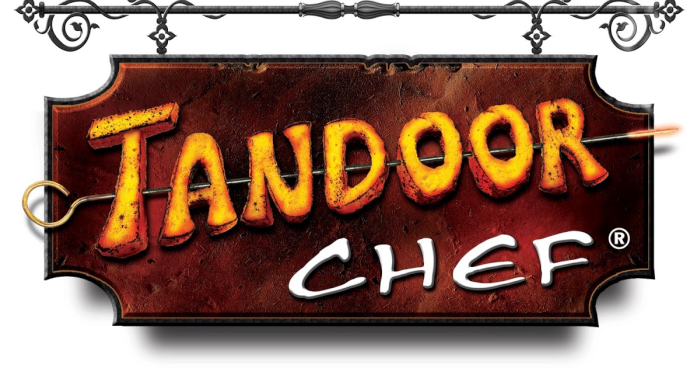 Tandoor Chef has a wide range of frozen meals, including vegetarian and gluten-free options. I’m having trouble finding many of the gluten-free options in my area, unfortunately, but anytime my husband and I visit surrounding cities or states, I always keep my eyes out for ones I haven’t tried. 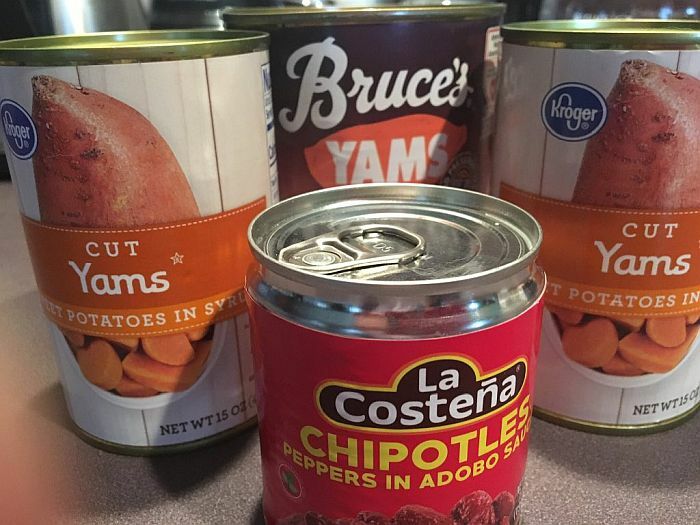 I hoped to find a new variety to review in this post but it’s much easier said than done! As it is, I will simply point you to a page listing (with pictures) Tandoor Chef’s Gluten-Free Meals. As soon as I find one I have yet to review, I’ll let you know all about it! In addition to gluten-free options, Tandoor Chef also has vegetarian and vegan entrees. They also have a recipes section I think you’ll love. Tandoor Chef can be bought on Amazon… if it comes to that, that’s what I’ll do. I just noticed they carry a lot of the entrees my grocery stores don’t! 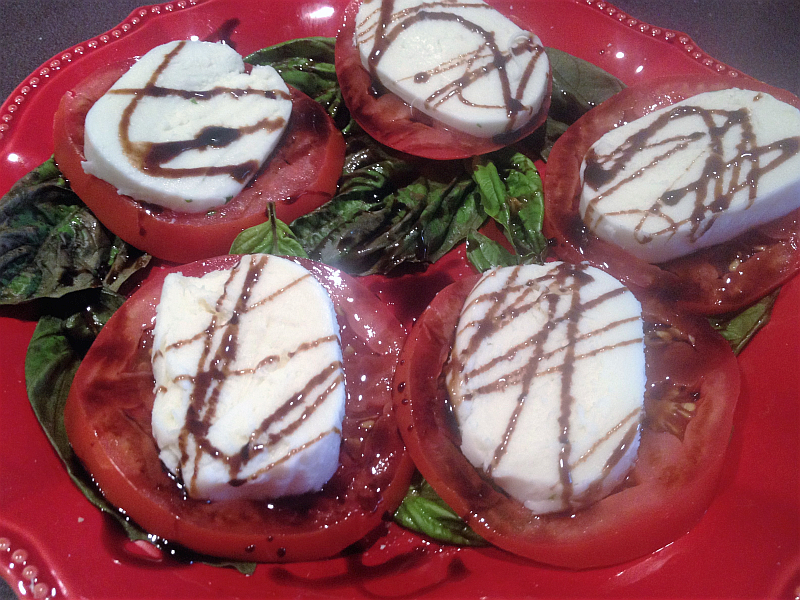 I frequently write about CedarLane foods on Get Cooking. I frequently eat CedarLane foods in my kitchen. Simple as that – delicious as that. 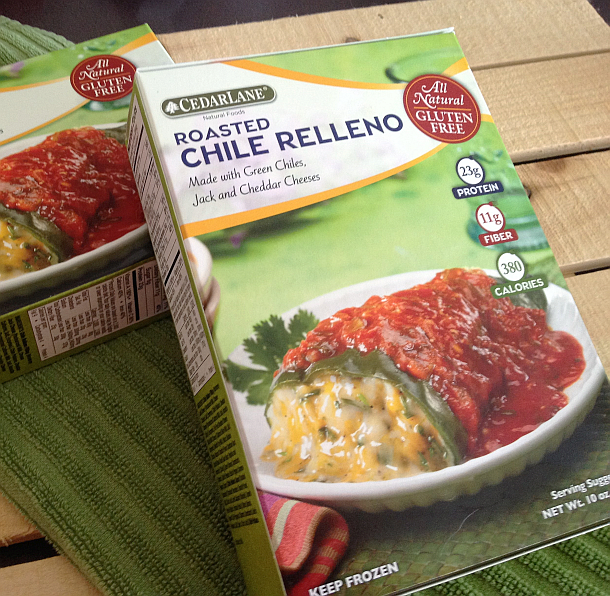 The CedarLane Roasted Chile Relleno and CedarLane Sweet Corn (and vegetable) Tamales are a few of my grocery staples. I buy them each and every week.. to the tune of two at a time. I spend a lot of money on CedarLane, if we’re being honest – but I can’t help myself, nor would I want to. They’re simply among the most flavorful, delicious, and healthiest frozen foods out there – whether (always, like me) you’re looking for gluten-free food or (sometimes, like me) looking for vegetarian meals. 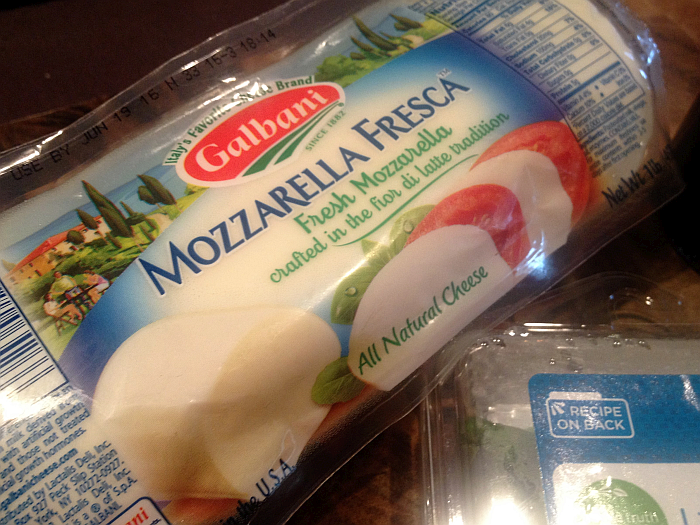 If you’re a gluten-free vegetarian… allow me to introduce you to your new best friend. 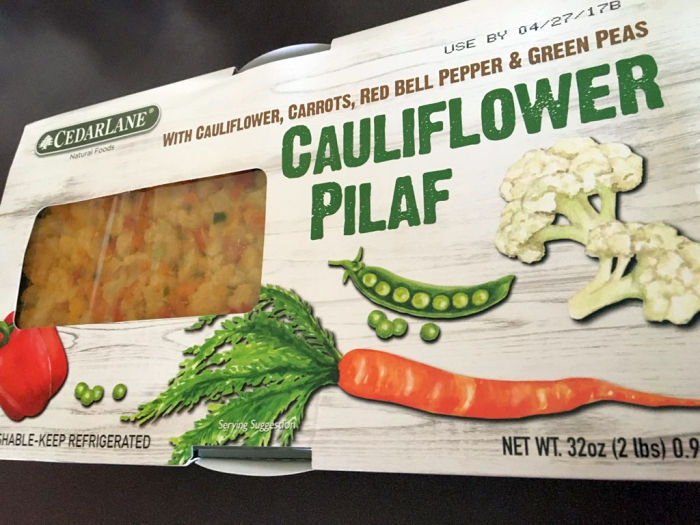 CedarLane recently told me about a new product they’ve come up with, Cauliflower Pilaf – and, just as I was about to head off to the store to look for it, they said they’d seen me one to sample. 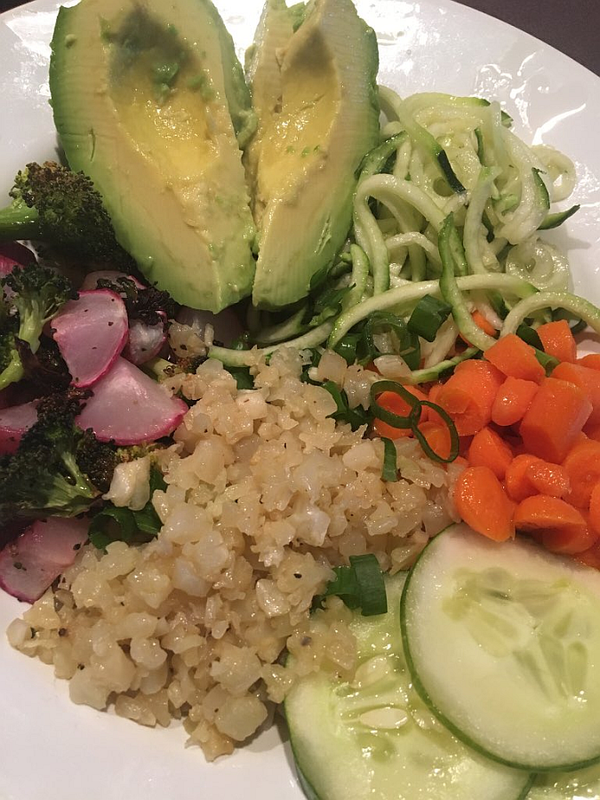 When the CedarLane Cauliflower Pilaf arrived, I made a huge Chef Salad to go with it for supper. Why wait, right? I was not in the least bit surprised to discover that it was FULL of vegetables and flavor. A favorite combination, if I ever had one. CedarLane GETS (as well as it’s ever been gotten) that flavor matters. If a vegetarian or gluten-free or ANY meal for that matters is to be taken seriously, it has to taste good. The flavor has to be there. 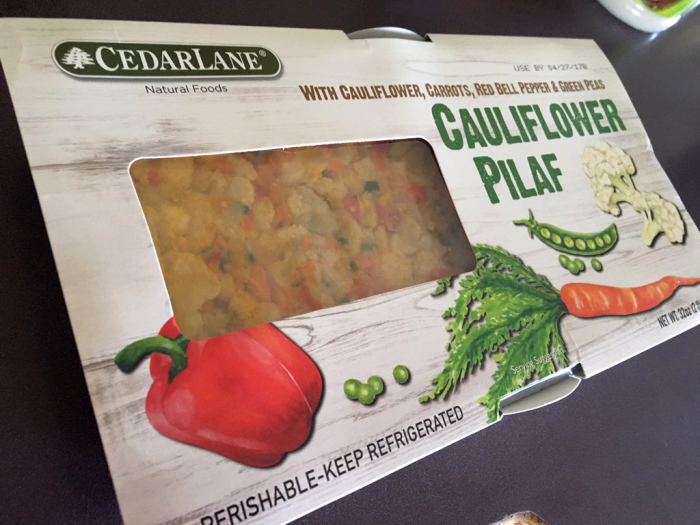 CedarLane packs an unreal amount of flavor into everything they make – including this exciting new Cauliflower Pilaf. 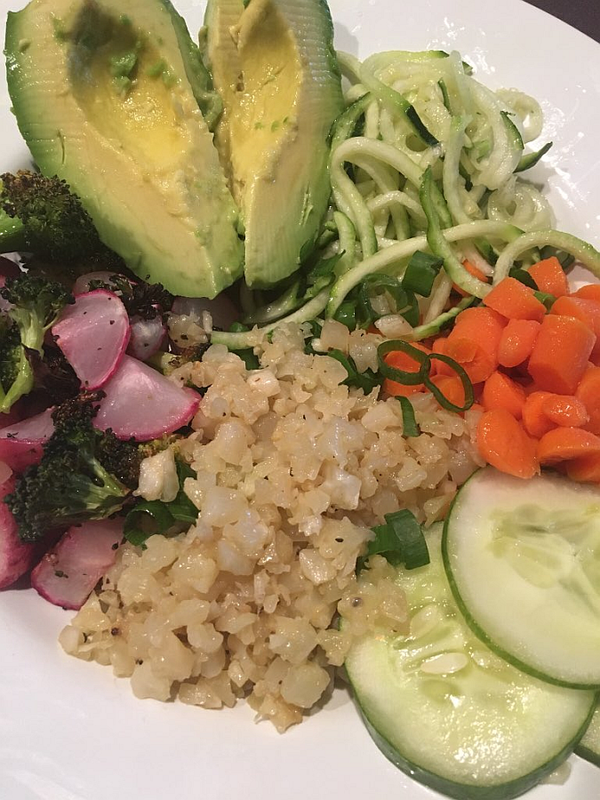 The fact that CedarLane allows you to have nutritious, filling, delicious, AND flavorful (seriously, seriously flavorful and delicious) in such a quick and easy manner is nothing short of perfection. While I, most of the time, enjoy CedarLane’s foods for lunch, I often invite them for supper as well. The Cauliflower Pilaf was absolutely delicious served with a salad, but it’d also be a healthy side for grilled chicken, hamburgers, meatloaf, steaks…. absolutely anything that could be accented with a delicious, wholesome, and filling side dish. The Roasted Chile Relleno begs to be served on “Taco Night.” Simply buy two boxes and heat them up – just don’t blame me when they steal the the show from your tacos. They do that. 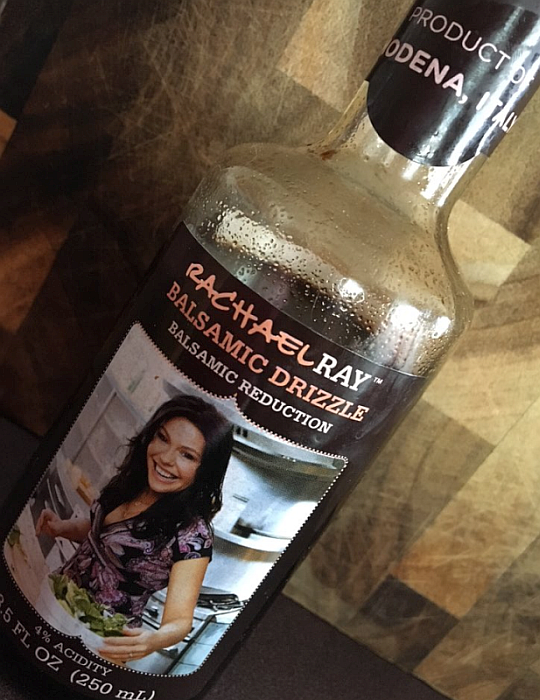 Seriously, these are out of this world – I could drink the sauce, it’s so darn good. The Sweet Corn Tamales (fun to make, funner to eat) and Vegetable Tamales are ridiculously delicious. I top them with mild Salsa Verde (Herdez is my favorite brand) and serve them with salads (yes, I am a salad fiend) or tomato soup when having them for dinner. 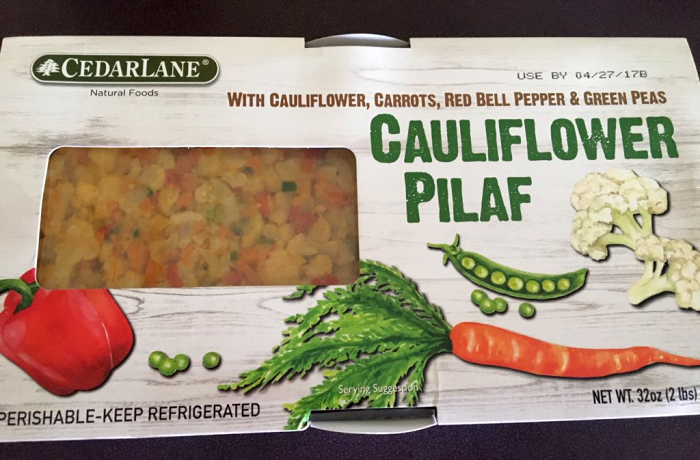 I, personally, haven’t seen the CedarLane Cauliflower Pilaf in stores yet, but trust me, I’m looking! It is fantastic – I love the thought of having a side that’s so vegetable-licious. When it comes to veggies, he more, the better, and CedarLane has found a clever way to up the ante. Other CedarLane Reviews on Get Cooking! Babies develop at such a fast pace, sometimes it’s hard to keep up. 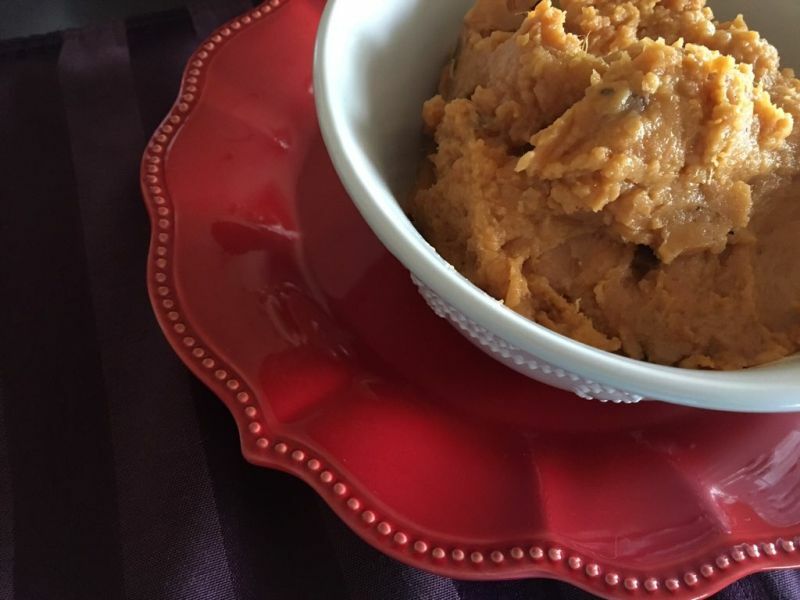 But once your little one is old enough to enjoy solid foods, you can have fun letting him or her experiment with different flavours and textures, starting with pureed vegetables, fruit, and cereals such as baby rice. All babies start off as vegetarians until you decide they are ready for a first taste of chicken of fish. At this point in their development, it’s all about learning new flavours and textures – eating is a multisensory experience! However, if you have decided to bring you baby up on a meat free diet, there’s no reason at all that your son or daughter needs to miss out on any key nutrients, just so long as you make sure s/he eats a varied, balanced diet. Here are 4 vegetarian baby recipes you may like to try. Prepare the vegetables: peel and cube potatoes, cut broccoli and cauliflower into florets. 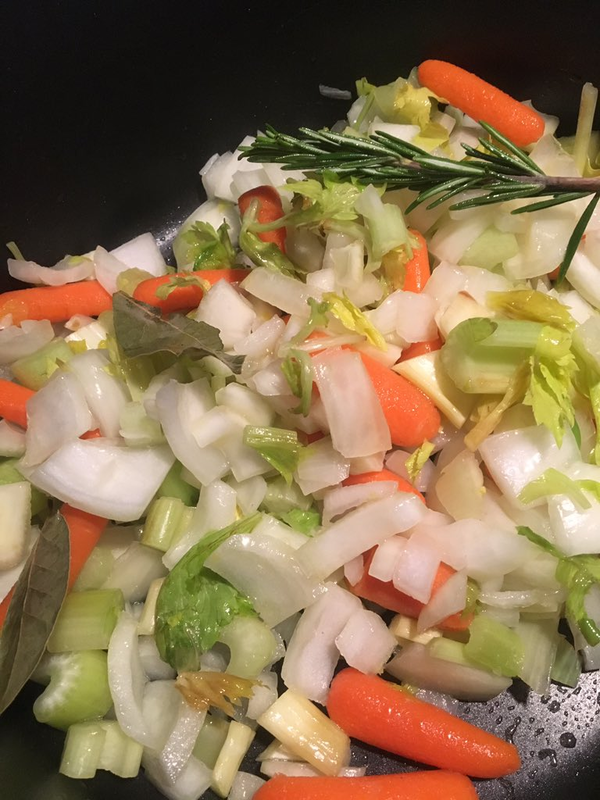 Place vegetables in a saucepan with the milk, then simmer for about 10 minutes until tender. Remove from the heat and add cheese and pepper until melted. Prepare the vegetables: dice the potato and the carrot, slice the leek. 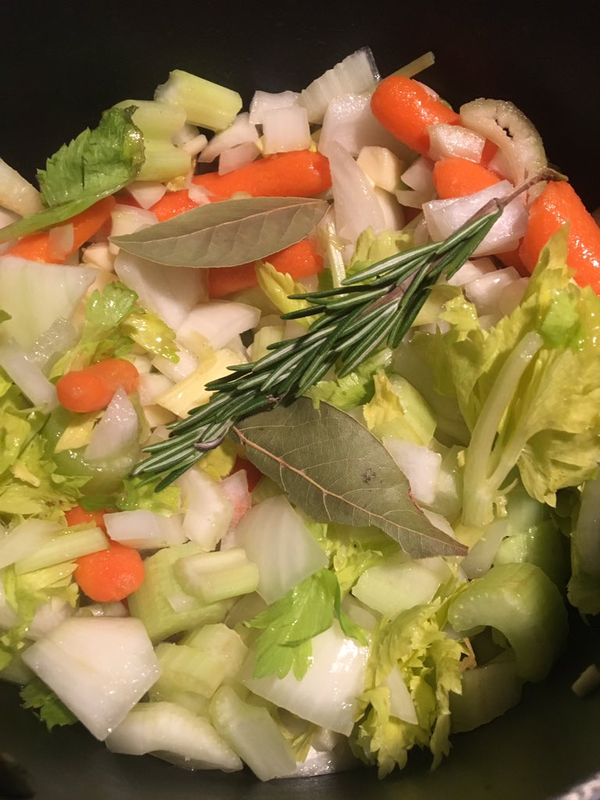 Place the vegetables in a pan with the lentils and 300ml water and simmer for about 1/2 hour until everything is tender. Add more water if necessary. Puree or blend until smooth and serve. Prepare the vegetables: finely chop onion, carrot, pepper and mushrooms. In a large saucepan, fry the onion in the oil over a medium heat for 3-5 minutes until it turns glassy, then add carrot and fry for another 5 minutes. Add the rest of the vegetables and cook for another 5 minutes. Now add the tin of tomatoes and oregano. 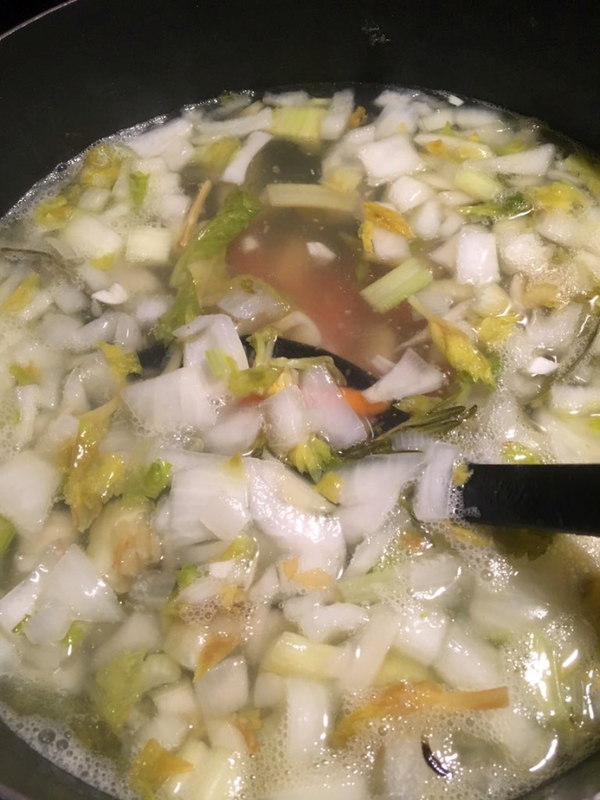 Bring to the boil, then reduce the heat and simmer for 10 minutes until the vegetables are tender. Stir into perfectly cooked pasta and serve warm, but not too hot. Cut the squash into cubes and put into a roasting tin with the red pepper, then bake for 20 minutes in a hot oven (220C) until soft. When cooled, peel off the skins and chop finely. Put in a blender with the cheese, tomato and oil and blend until smooth. Serve with plain oatcakes. Whisk all ingredients together until smooth, then serve with plain oatcakes. Article provided by Mike James, an independent content writer working together with Harmony at Home, the nanny and childcare specialists.